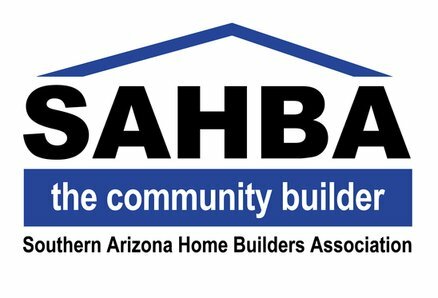 Stone House is a private gated community with home sites from 1/2 acres nestled in the foothills of the Santa Rita Mountains. Enjoy this spacious open great room with perfect for entertaining special events, holiday get togethers or just a cozy quiet evening at home. The owner’s suite includes 2 walk-in closets, executive height vanity with granite tops and large walk in shower. 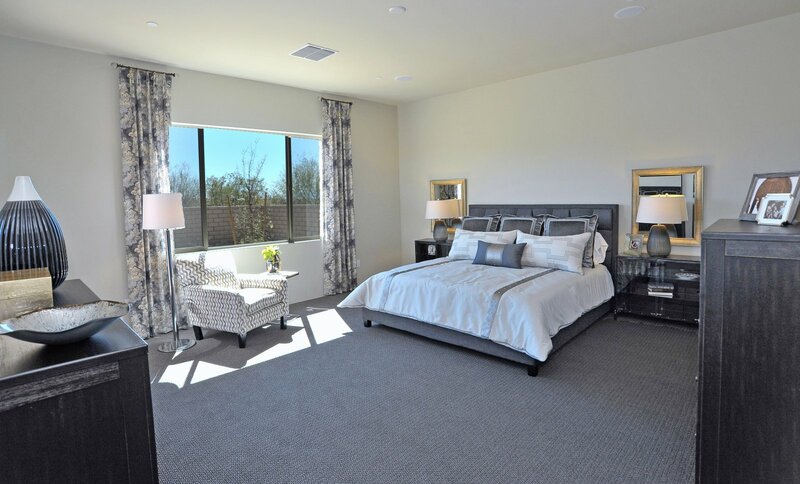 Looking for a guest suite, bedroom 2 offers a private bathroom perfect for visiting friends or relatives. 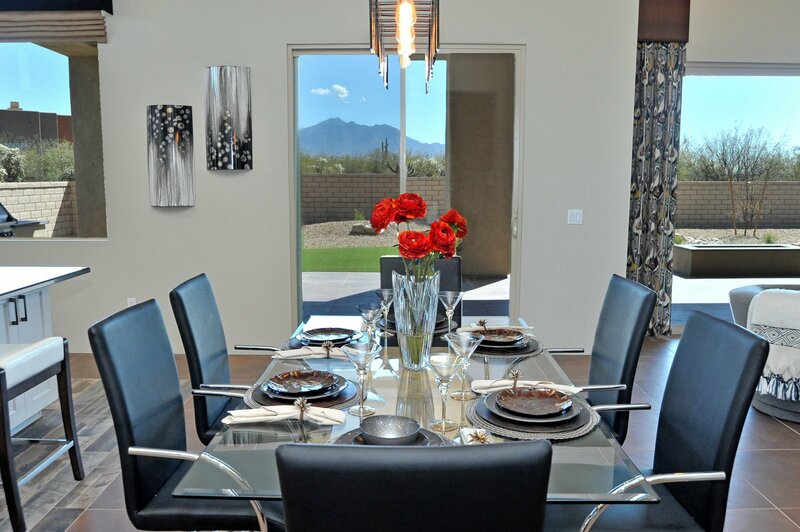 •	Our featured home includes a 12’ sliding glass door in the great room leading to an expansive covered patio with outdoor kitchen, fire pit and spectacular mountain views. 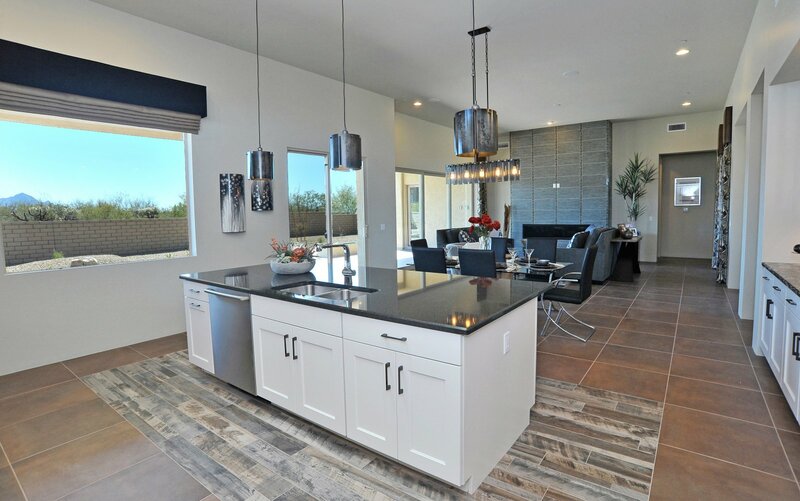 •	The great room floor tile is extended to cover the complete patio and outdoor kitchen. 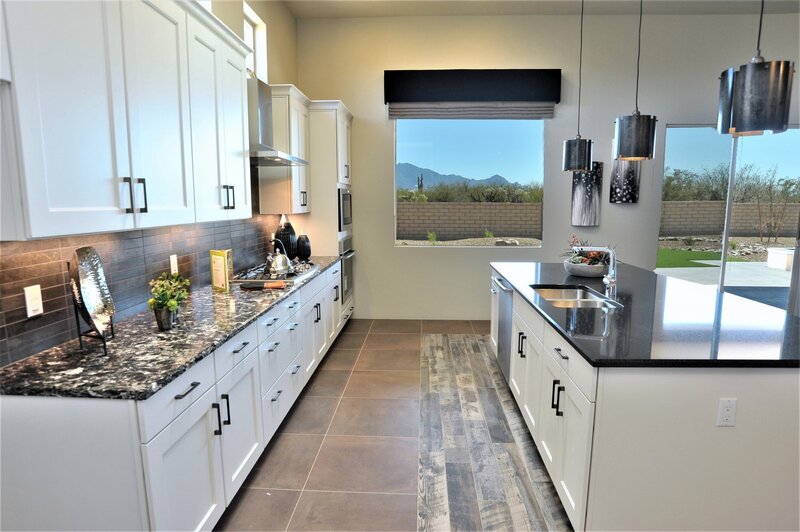 •	A built in dry bar with custom cabinets with glass doors on the upper cabinets and granite countertop. 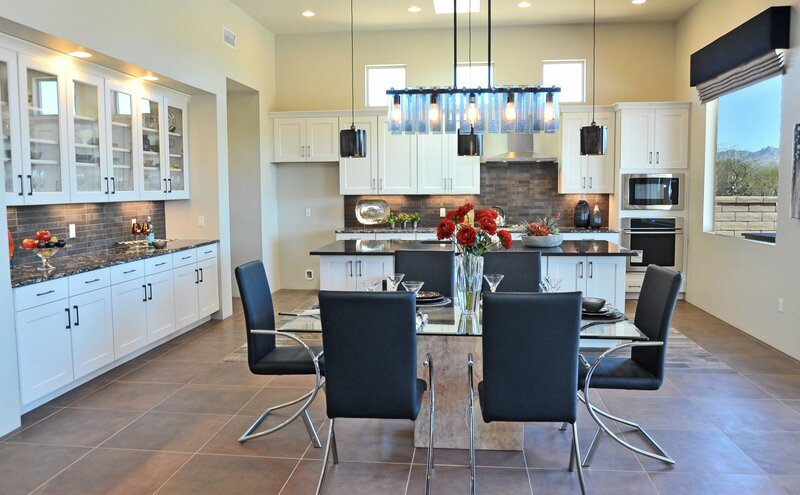 •	The kitchen features a custom island with wood plank flooring and Electrolux stainless steel appliance. 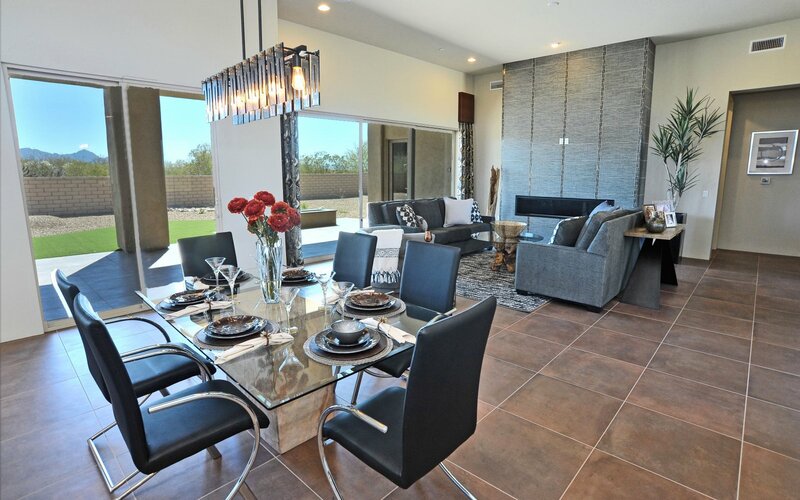 •	The great room includes a 72” linear fireplace with a full wall of ceramic tile and a wall TV mount above. 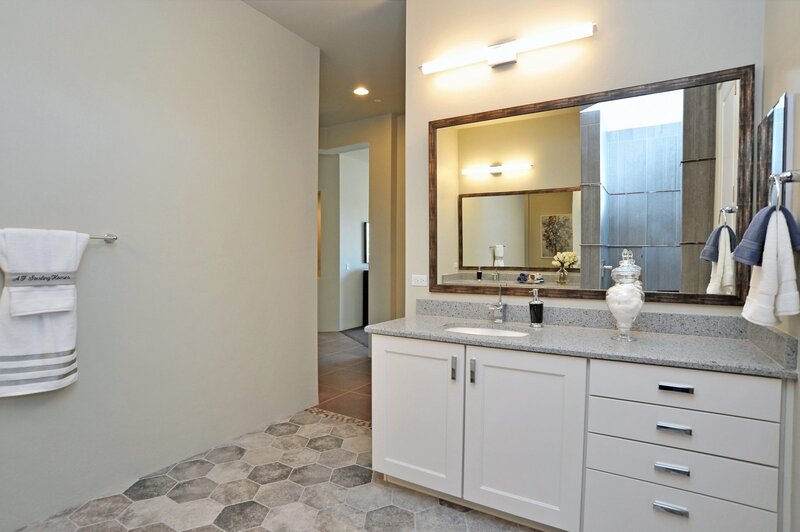 •	The luxurious owner’s suite bathroom features a large walk in shower with tile surrounds from floor to ceiling, Quartz vanity tops and framed mirrors. 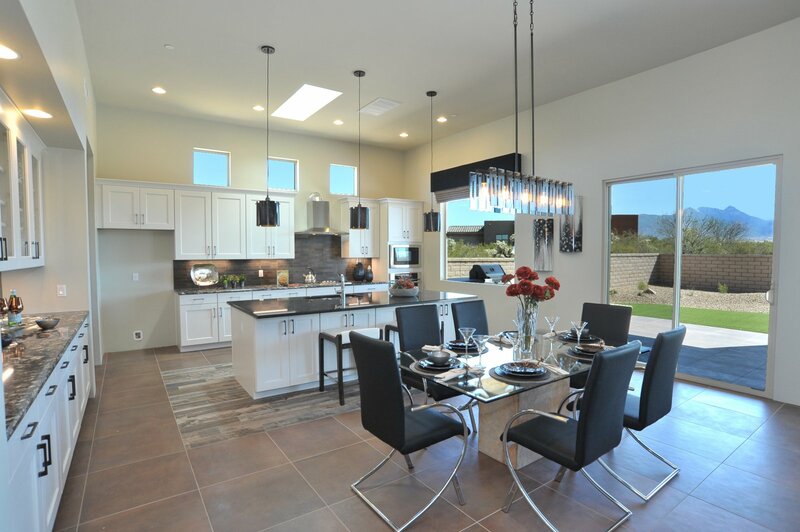 •	The featured home is Energy Star rated for its high efficiencies and includes a home automation system.